I have recently noticed 1 or 2 fur beetles on my deer mount. I saw you have a page for bugs on mounts. 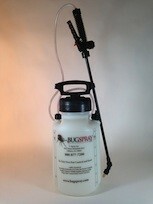 Does the spray you list take care of beetles or just the moths? We have several pages listing products to use when insects target animal mounts like deer, elk, birds, etc. In general, these pests will usually turn out to be HIDE BEETLES, CARPET BEETLES or CLOTHES MOTHS. Regardless of what you have, the following products will work. The “easiest” solution is BEDLAM PLUS. Its in an ready to use aerosol can so all you have to do is spray the mount and you’ll be killing both active adults and larvae. This form of Bedlam also includes a growth hormone which will effectively stop eggs from being able to mature so it will effectively stop the cycle from continuing. One can will typically cover 1200-1500 sq/ft so if you’re just treating a single mount, it will be more than enough to solve the problem many times. Now if you have activity throughout the home, you should treat more than just the mounts. This can be done with the Bedlam but DFENSE and NYLAR concentrate will prove to be more cost effective if you have a lot of carpets and furniture to treat. These two liquids can be mixed together in the same PUMP SPRAYER and then sprayed over all areas needing attention. 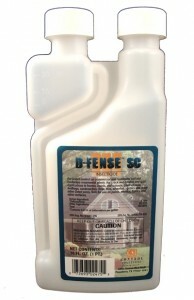 Mix .75-1.5 oz of Defense per gallon of water and plan on getting 1000 sq/ft of coverage per tank. Nylar is the “egg killer” you’ll want to add to the tank mix. 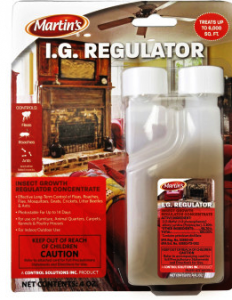 It can be added to the same tank and you’ll want to add 1 oz of this per mixed gallon of solution. Apply these concentrates with a good PUMP SPRAYER meaning one that will produce a nice “fan” pattern. This ensures uniform coverage and the proper chemical distribution. Remember you’ll need to treat several times. Expect to spray once every 2 weeks for a total of 3 treatments the first month. After that, one more treatment should be done whether you see activity or not so that by the end of the second month, you will have done 4 applications.